Comm Eye Health Vol. 26 No. 83 2013 pp 59. Published online 18 November 2013. 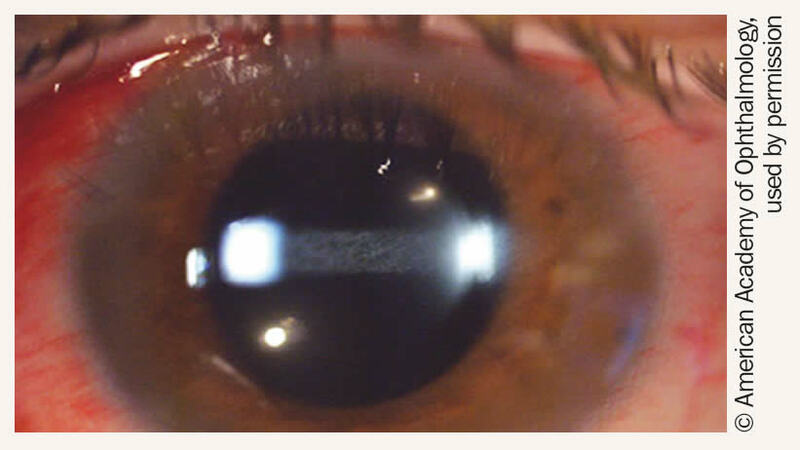 A ground-glass appearance of the cornea is noted immediately after cataract surgery (figure) and there is a +3 anterior chamber reaction. What condition do you suspect? What is the most likely diagnosis?